Showtime Hold'em is off the PokerStars client. What will replace it? It's out with the new and in with the newer once again at PokerStars. The world's leading online poker platform shelved its latest unique game offering, Showtime Hold'em, on Monday after a couple of months on the client. 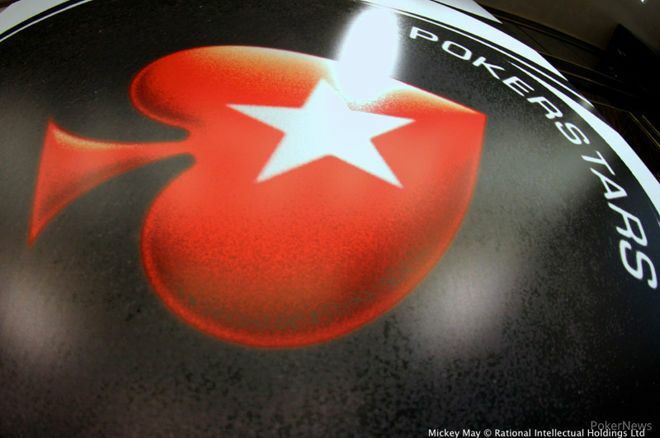 Repeating the cycle followed with Split Hold'em, PokerStars is expected to introduce new offerings in the coming weeks and months, with details scant but speculation building after a reveal ($) by Poker Industry PRO. Out With Showtime, in With Fusion? Showtime Hold'em debuted back in May, ending the run of Split Hold'em — double-board hold'em wherein the strongest hand on each board earned half of the pot. In Showtime, players who folded have their cards exposed for all to see. Players still in the hand earned new information pertaining to the current hand, and players who had already folded received insight into opponents' strategies for future hands. "It made for a fun twist on hold'em that rewarded careful observation while forcing you to rethink your strategies," wrote a PokerStars staffer on the company blog. It's part of an ongoing strategy to introduce "exciting twists on classic games." Back in May, when details first leaked about Showtime, PRO revealed that another game being cooked up was called Fusion. PRO guessed it would be a "blend of two different formats or games," pointing to the old Irish Poker — a hybrid of Omaha and hold'em — that once ran on Full Tilt Poker. No other concrete info on Fusion has been leaked, but it would presumably follow the leads of Showtime and Split by using blind seating lobbies and fixed buy-ins of 80 big blinds. That is, if indeed, Fusion is the next release. PRO guessed it would debut "within the next couple of weeks, but the announcement in PokerStars Blog that Showtime would be withdrawn on Monday hinted at a new game. The latest new poker format cooked up by PokerStars' games design team appears to be called Unfold, according to PRO, whose sleuths dug up image assets from the PokerStars client. A paragraph closing PokerStars' recent announcement seems to confirm that. "As one game steps down, the crew of poker remixologists at PokerStars finish cooking up something new to add to the rotation," it reads. "No comment for now, but we reserve the right to reverse that statement — or Unfold it, if you will — very soon." Just going off of the name and the above sentence, one can presume players will somehow be able to reverse a decision to bow out of the hand. How the logistics on that would work are up for anyone's speculation. Will players pay some sort of fee? Will they be free to reenter the pot at any time or at certain decision points? Nobody besides insiders can know for sure, but it's sure to affect strategy in a massive way. Even without knowing, PRO called it "the most ambitious" new variant yet. "[It] would add significant new depth and player strategy to the game," wrote Anuj Arora. "It may well lead to more bluffing, bigger pots, and particularly if players are forced to pay a fee to re-enter, player’s position at the table would play a bigger role. Other factors of basic poker strategy would also be affected." Whether Unfold, Fusion or some other new variant is introduced in the coming weeks, expect something to hit the client to replace Showtime.